Is a Change in the Mass Coming? My friend Jan asked me if it was true that Francis had ordered a review of Liturgiam Authenticam (LA) of 2001, the "Fifth instruction for the right implementation of the Constitution of the Sacred Liturgy of the Second Vatican Council." 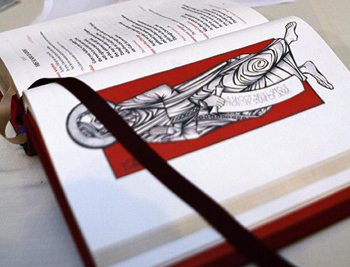 After a major re-translation of all the vernacular liturgical books by a Vatican Commission selected by Benedict XVI, it resulted in a supposedly "more conservative" version of the Novus Ordo Mass. When it was implemented, the conservative Catholics were exultant. In the "new" 2011 Missal, the "for many" translation for "pro multis" had returned to the Consecration text, replacing the controversial "for all." “No more worry. All is right in the liturgical world again,” the conservatives said. Unfortunately, as we see by the title of the text itself, "the fifth instruction" for the "right implementation" of the Vatican II liturgy, the Mass has become a text in constant evolution – now moving right, now veering sharply left, now a return to the center, always in change – and ultimately following the progressivist aim to make a participative service that better pleases the Protestants. As even the supposedly conservative LA states, the liturgy must adapt so that "the faithful might find in it their full, conscious and active participation," with each people led by its own particular genius, thus allowing for "inculturation." Once again, a renewal of the renewal is purported to have begun, this time under Francis. Jan had heard rumors that big change was in the air and not for better. I believe those rumors have more than a little grounding in fact. First, the commission is not headed by the Prefect of the Congregation for Divine Worship, Card. Robert Sarah, who tends to interpret the liturgy more conservatively – let me note in passing that no one needed to "interpret the liturgy" before Vatican II; it was what it had always been, as the immutable expression of the Sacrifice of Christ on the altar. Instead, Francis appointed as the head of that commission Archbishop Arthur Roche, the Congregation's Secretary, who takes a much more "open approach" to liturgical questions. For example, speaking at the 2012 St. Bede Liturgy Lecture, Arch. 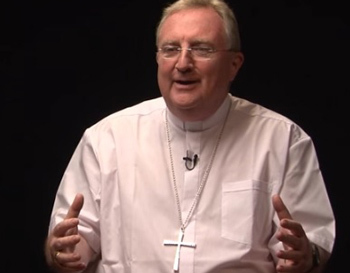 Roche criticized liturgies that turn the community "inward" and he stressed the importance of the role of personal transformation through the active participation of the assembly. Third, he will not release the names of the members of the liturgical Commission, but it is being said – based on inside Vatican sources – that they include Protestants and Schismatics. Another reason for concern is that the progressivist Jesuit organ America has proclaimed its wholehearted approval of this Francis' review. In fact, it dubs the present 2011 translation "a wooden, woefully inadequate, theologically limited Missal" and anticipates a radical revision or even full revoking of the "controversial document" (LA). This is a "wonderful opportunity" to return to the real intentions of Vatican II for the liturgy, it affirms. As noted in a recent posting in our Comments by Readers page, alleged insider sources at the Vatican are circulating speculations that cannot be off-handedly dismissed. For example, the well-read Italian blog, Anonimi della Croce affirms that the Commission studying the New Mass translation is composed of Catholics, Lutherans and Anglicans, and that they are working on a canon that would eliminate any objectionable consecratory formulae so that the Mass could become an ecumenical service for a community of believers of these three different confessions. Although we should not base our positions in rumors, these have in their favor the appearance of truth, taking into consideration what we have seen Francis do in other fields. It would not be surprising to find an optional "canon" that could accommodate an ecumenical service, since there are already some parishes around the world operating under these principles. 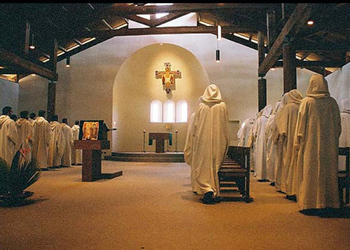 First,	the Community of Taizé is a joint Protestan-Catholic "monastic order" in France where over 100 Catholics and Protestants “brothers” live and pray together as "a presence of love" overcoming every barrier of religion. This model of the future community desired by Progressivism has been heartily approved by John XXIII, Paul VI, John Paul II and Benedict XVI. Authorities of the Church promote “pilgrimages” to Taizé attended by about 100,000 youth from around the world every year for prayer, Bible study and shared services. Second, another ecumenical community praised by the post-conciliar Popes is the Monastery of Bose, established in 1965 by layman Enzo Bianchi in Italy. This community, founded in 1965 the day after Vatican II ended, today numbers more than 80 “brothers” and “sisters” – Catholic, Protestant, Greek Schismatic – one member is the retired “Orthodox” Metropolitan of Slivira. Bose claims that his monastery annually receives thousands of pilgrims “from all religious traditions.” Sunday morning-prayer is called a “celebration of the resurrection” where one of the Gospel resurrection narratives is read. The spirituality, to please the Protestants, is wholly centered on the Bible and early Church Fathers. Third,	other movements like Focolare, Sant'Egido or Chemin Neuf all have ecumenical communities inside them and enjoy the full support of the conciliar Popes. Praising them highly, Benedict XVI stated they ushered in "a new era of group endeavors." At Fatima in 2013, he encouraged the Bishops to welcome their “special charism for evangelization” and "new ways of proclaiming the Gospel." Given these precedents of ecumenical monastic communities and movements, if the planned renovation of the Novus Ordo Mass actually includes a "service" for ecumenical communities, how many Vatican II-trained Catholics and clergy will reject it and resist? It seems more likely to me that they will go along, some with enthusiasm, others more reluctantly. This is what has always happened in the last 50 years when the Revolution in the Church takes another large step. Let us not forget that, on an unofficial level, many Catholics and Protestants are already worshipping and receiving “communion” in one another's liturgies. Making it official would be to simply confirm this Conciliar Church as "ecumenical" in the spirit of Vatican II: the “Church of Christ” includes not only Catholics, but also Greek Schismatics, Anglican/Episcopalians and Protestants alike. 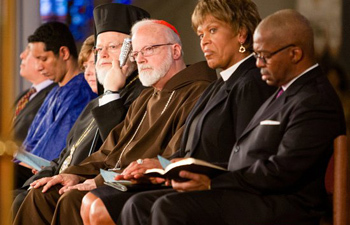 The notion of a new parish to host this type of "ecumenical service" may come as a shock for conservatives, but it comes as no surprise to those who view it as a logical consequence of applying the spirit of Vatican II to the liturgy. If this new step is not developed now, it will inevitably come later, unless Our Lady stops this process. I have run out of time, but in the next article I shall address another question of my friend Jan: What could be the consequences of this change for the indult Mass established by Benedict XVI's Summorum Pontificum?